such deer related RTAs result in over 450 human injuries and several human fatalities every year. six main species of deer live wild in Britain with an estimated combined population of over 1.5 million head (POST 2009). 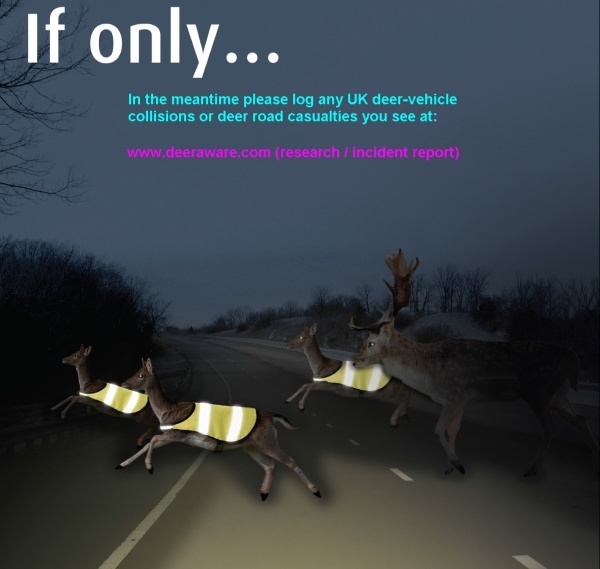 To HELP US record and map UK deer road casualty hotspots and related accidents please Click Here to chose between alternative ways of doing so online . We are currently especially keen to receive more information for WALES where past research remains most limited . With spread of Wild boar in the countryside traffic incidents with boar can now also be logged here.